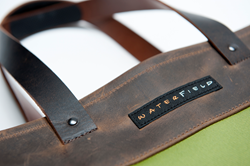 WaterField Designs celebrates American manufacturing on the country’s 238th birthday with the introduction of the Franklin Tote. 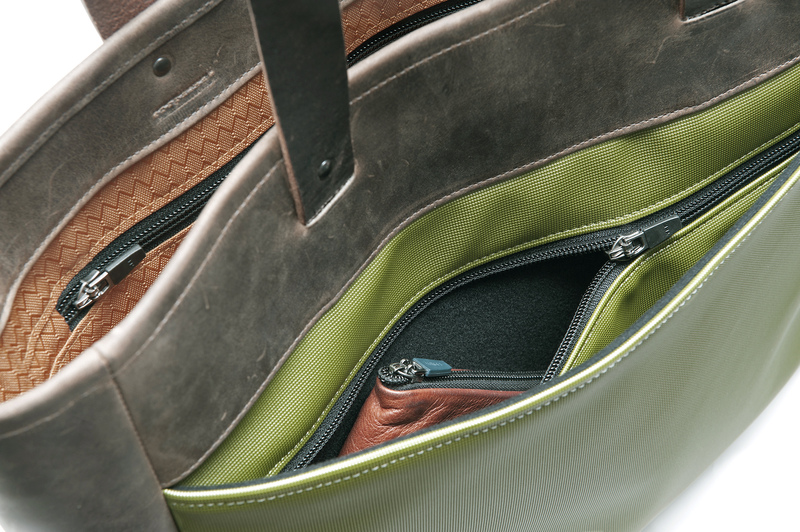 Handmade in the United States from naturally-tanned, full-grain leather and colorful nylon accents, the Franklin Tote stows everything needed for busy day of innovation or recreation. 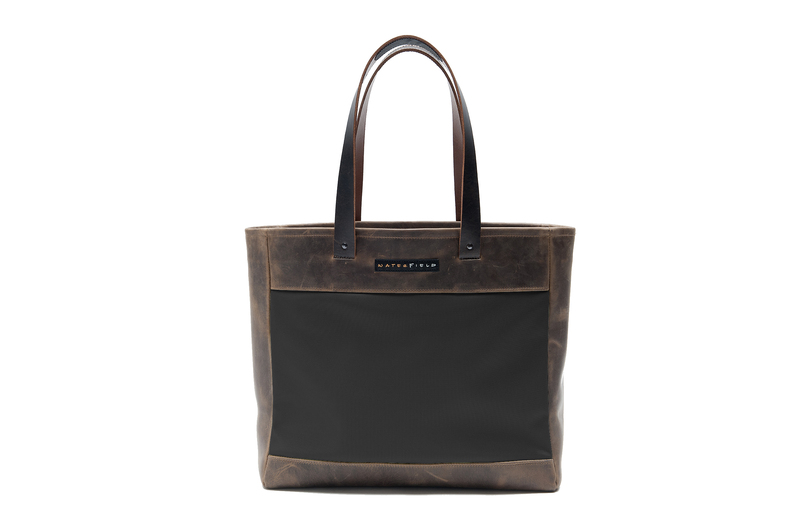 The Franklin embodies everything I love about totes; you’d never know from the clean and simple lines on the outside that the spacious main compartment houses an assortment of intuitive pockets. WaterField Designs celebrates American manufacturing on the country’s 238th birthday with the introduction of the Franklin Tote. Handmade in the United States from naturally-tanned, full-grain leather and colorful nylon accents, the Franklin Tote stows everything needed for busy day of innovation or recreation. WaterField Designs—a San Francisco manufacturer of custom laptop sleeves, designer bags and cases for digital gear—is committed to local manufacturing and to helping fuel American ingenuity. 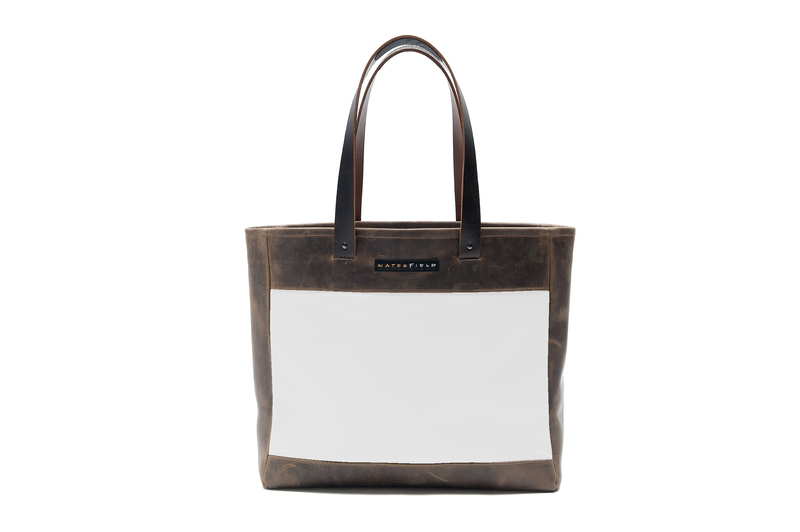 Secured with sturdy, old-fashioned rivets, the Tote’s leather straps are long enough to sling over a shoulder and short enough to use as handles. Hidden, no-slip pads sewn underneath the straps keep them from sliding off shoulders. 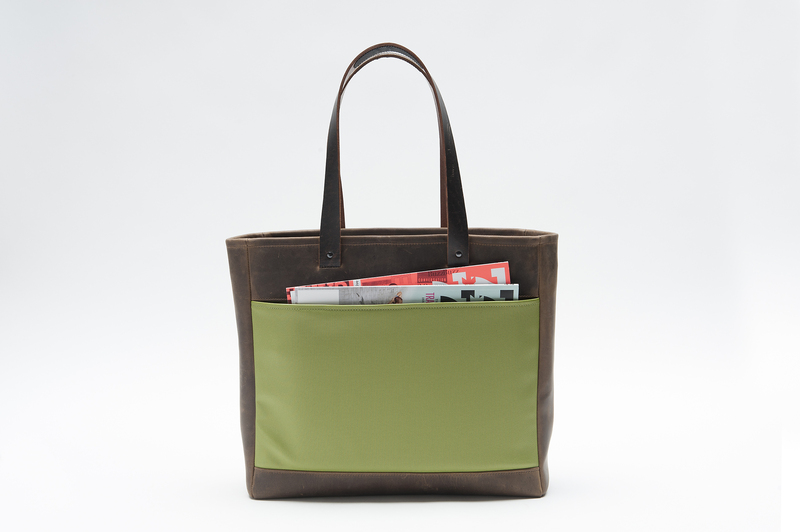 A key fob for quick retrieval adds to the organizational appeal of the Franklin Tote. Colors—Full-grain “chocolate” leather with a choice of six nylon panel colors: black, copper, flame, green, pearl or pine. Available now for pre-order exclusively from SFBags.com. Shipping begins July 7, 2014.